Don't give up time with your tribe or miss another workout when can combine them in a fun-filled class. 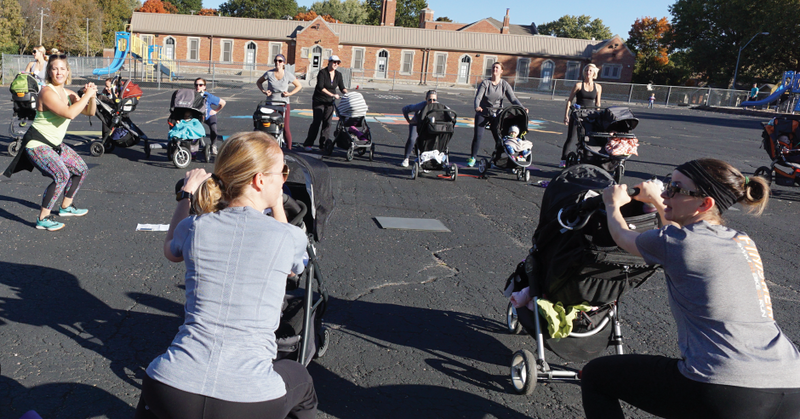 This free class is designed for parents (or other care-givers) and their stroller-bound children. The workout will include strength and conditioning exercises. All fitness levels are encouraged in this parent-centric workout. Registration is REQUIRED through Mindbody. City Gym members will register normally; non-members must create an account. What are my transportation/parking options for getting to and from Hale Cook? You may park your car in the City Gym Parking Lot, directly west of the building and walk west across Washington to Hale Cook! There is also limited parking available at Hale Cook. Please bring water, and your child in a stroller.